A study from the University of California, Davis, found that low levels of bad LDL cholesterol and high levels of good HDL cholesterol are linked to lower levels of amyloid plaque in the brain. Accumulation of amyloid plaque is a hallmark of Alzheimer’s disease. The research is published in the the journal JAMA Neurology. Our study shows that both higher levels of HDL — good — and lower levels of LDL — bad — cholesterol in the bloodstream are associated with lower levels of amyloid plaque deposits in the brain. Although the relationship between elevated cholesterol and increased risk of Alzheimer’s disease has been known for some time, the study is the first to specifically link cholesterol to amyloid deposits in living human study participants. The researchers weren’t able to identify any associations between participant use of cholesterol medication and amyloid levels. 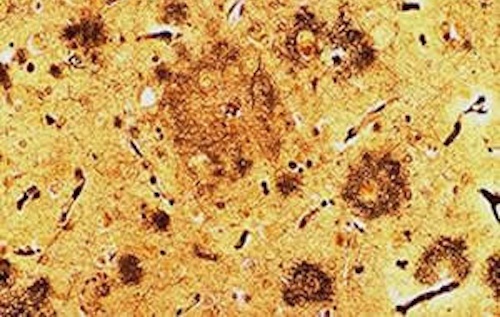 The biological connection between blood cholesterol levels and amyloid plaque in the brain is still unclear.